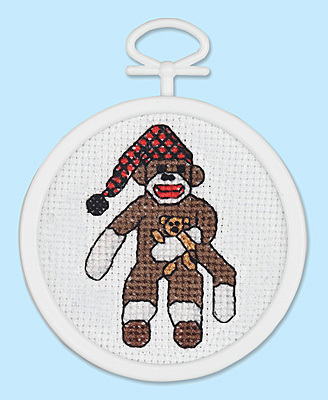 Set of 12 kits of 998-7012 Sock Monkey. Great for party favors, stocking stuffers, classroom or camp projects, etc. Each kit contains 18-count Aida fabric, 6-strand cotton floss, frame, self-adhesive munting board, needle, graph, instructions. Size 2.5 round.